One of the most challenging aspects when you’ve decided to change your career is producing an effective CV to enable you to get that first job in the new work sector you’re looking to get into. Inevitably, you’re going to need to completely revamp your existing CV and tailor it to suit the new direction you’re looking to take which will involve some creativity on your part as well as, perhaps, moving certain sections of it around in order to place the emphasis on those aspects which are most relevant to your new career direction. 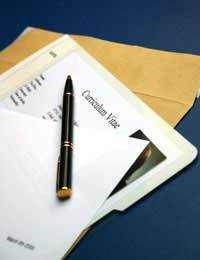 Most conventional CVs at present tend to begin with a short paragraph or a series of bullet points either in the form of a personal statement or a brief summary of your key skills and attributes or personal qualities. This can stay at the top where it already is and then it’s simply just a matter of tailoring that to suit the new type of role you are seeking. One of the best ways of doing this is to look at examples of other people’s CVs who currently work within the same industry you’re now looking to seek work in too and to include those skills and personal qualities which are most sought after in that profession. You’re likely to find examples on the internet but, better still, get in touch with either someone you know who’s already working within the industry or simply make contact with a similar company working within a sector you’re also looking to work in, ask to speak to their HR department and see if they can offer you some useful phrases you should be looking to include. As this part of a CV tends to be quite general in nature, you should have little difficulty including phrases and examples of skills and qualities you’ve gained in another profession but which are transferable and appropriate for your newly chosen career. There are no real hard and fast rules over whether you should place the emphasis on qualifications before employment or vice versa. However, in a conventional CV where people are looking to progress within their current career, they’re likely to choose to put their employment history next as it’s more likely to illustrate their most recent achievements at work which is important if they’re looking to progress within the same industry. However, if you’re looking to make a career change, it’s quite likely that you may have undertaken some kind of qualification or attended a specific course that’s relevant to your new career move. If so, you should place that above any employment history. There is no getting away from the fact that whatever your motives for changing career and no matter how far removed your working life in the past has been to what you hope to do in the future, you’re going to need to include your employment history. The key thing here is to consider the job(s) you have already done and to see if you can identify any skills you were able to obtain within these job(s) that could easily be transferable and be considered of value to your new chosen career and to focus upon them. To illustrate this, an example might be where you’ve worked as a telephone market research consultant but you’re now looking to pursue a career in some kind of social work or counselling capacity. Upon first impressions, you might think that these occupations are so far removed that it would be impossible to find any common ground between them. However, if you think it about carefully, you’ll be able to point to skills and personal qualities such as the need for tactfulness and diplomacy when asking questions which would very much apply to both occupations. The key point when producing a CV when you’re looking to change career is not to try to erase all of the experience you have gained up until this point but to tailor it in such a way and in a particular order which is likely to give an overall impression that you possess the necessary skills, personal qualities and qualifications that will be relevant to the career you’re now looking to pursue. The best way to ensure that, of course, is to start networking with people who are currently working within the industry you’re looking to get into to ascertain the type of things that HR departments are looking for evidence of in the CVs they receive. By doing that, your CV is not going to ‘hide’ the fact that your new preferred career is different from your previous one. What a well-tailored CV will do, however, is make the switch to your new career seem like a natural and logical progression to the person reading it. Finally, always remember that a CV isn’t designed to get you the job - it’s designed to get you the interview. You can elaborate on the reasons behind your career switch once you get to the interview stage. I agree with you a good resume will change the career.